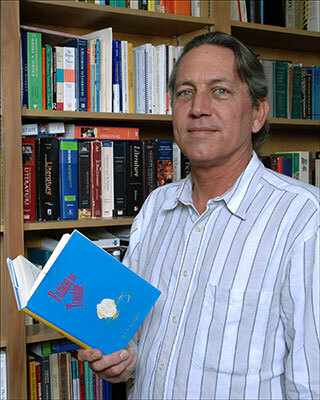 Terry Dalrymple has published numerous short stories, articles, and reviews in periodicals such as Modern Short Stories,Cimarron Review, American Literary Review, Short Story, The Writer, andWriter’s Digest. His stories have appeared in the anthologies New Growth 2 andTexas Short Stories. He is also the author of Salvation, a short fiction collection. In 1987, with funding from Fort Concho Museum Press, he founded the literary journal Concho River Review, for which he currently serves as fiction editor. He is a member of the Texas Institute of Letters and holds the John S. Cargile Professorship in English at Angelo State University, where he has taught for thirty years. He and Lorraine, his wife of thirty-three years, have three children, Joshua, Phillip, and Sarah.